Rural territories are the base for agriculture, but also offer a wide array of assets and resources not yet used or that remain undetected. 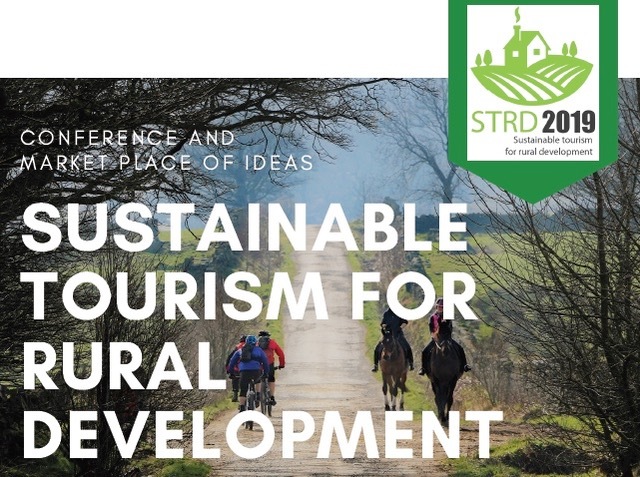 Building on the results of the previous edition STRD2017, this conference is a new step to broaden the view and unleash the full rural potential for recreation and leisure through a holistic approach that includes hospitality, agriculture, food and wine, gastronomy, culture, environment, active tourism, and any other relevant aspects and tourism sector organisations. ENTE FIERA PROMOBERG, Via Lunga, 24125 Bergamo. Simultaneous translation to and from Italian, English, and French! Download the Conference Flyer and Programme in PDF format from the right-hand panel. Marketplace of Ideas - contributions welcome! ... and if you want new customers: consider participating at the B2B matchmaking of AgriTravel and SlowTravel and at the Fair "Fiera di Territory" from February 15-17, 2019. The 2018th edition reached more than 16000 visitors in 2018. Preferential rates apply for participants at STRD2019.